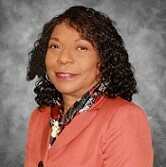 Patricia Callaway is a Licensed Professional Counselor who joined Georgia Behavioral Health Professionals in May 2018. In her clinical practice, Patricia delivers cognitive behavioral therapy (CBT) and other evidence-based treatments for adult and adolescent clients with a wide range of emotional, behavioral, and adjustment problems. Patricia finds it gratifying to introduce clients to CBT since she has had the privilege of witnessing dramatic transformations using CBT in clients with depression, anxiety disorders, suicidal ideation, and addictions. As a published author, Patricia has written on the topic of stress management and self-discipline. She is eager to apply her experience and compassion with clients as they begin to address issues that will help improve their quality of life. After earning her Masters in Counseling Psychology degree from Argosy University, Patricia completed the training process to become a licensed mental health therapist in the State of Georgia. During the past 20 years, Patricia has used clinically tested and evidence-based interventions to help her clients live happier, healthier, and more productive lives. She strives to empower individuals to overcome personal obstacles, improve their mental/emotional well-being, and attain a sense of fulfillment. Patricia is sensitive to cultural diversity, and has worked with people from various cultural and socio-economic backgrounds. In addition to private practice, she has worked with clients in community-based counselor centers, hospital ER, and residential treatment facilities. Patricia's vast experience greatly enhanced her ability to work with clients from a broad perspective.